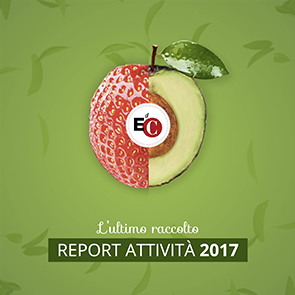 This year, too, Rimini´s University of Bologna continues the journey in "Riminisian Socio-Economic Reflections", promoted by the Association of the New Generation Study Center in collaboration with the Gambalunga Civic Library of Rimini. The 2010 theme regards the importance held by the local community and territory, culture and innovation, businesses and working relationships, to go through this hot news topic that is still being felt. The theme of vast interest was developed during May and June in various weekly seminars by experts in various disciplines that have gathered to develop their own arguments on the theme through different aspects, like trust and gift, local economies and innovation, award and virtue, and social responsibility. At the end of this journey, on June 26, there will be an "outing" to the Polo Lionello Bonfante. The idea is to get to know the experience of economic/entrepreneurial innovation and social-territorial cohesion that the Polo represents, among the typical expresssions of the Economy of Communion. The Polo Lionello Bonfanti is home to Italian business from various sectors: textiles, artisan work, installments and food, the "Risana" poly-ambulatory which is growing, plus professional studios for financial and administrative consulting, insurance services, information services and business formation. It is a place to converge, a place for exchange of ideas and projects, offering services to more than 200 Italian businesses. Presentors: Prof. Luigino Bruni: Associate Professor of Ethics and Economy at the University of Milano-Bicocca, and world coordinator of the EoC project; Dr. Paolo Maroncelli: Delegated Administrator of the EdiC Association; Dr. Eva Gullo: President of EdiC Spa. Participation is free but organizers request registration to participate in the event. To those participants who make the request, a certificate of participation will be available. The participation is recognized as formational credits for university students.